We knew this would come eventually, but few expected to be so soon, and it wasn´t a freak event, because the Nissan Leaf also topped Norway's chart in October and in November the Outlander PHEV did it in the Netherlands. After a shaky start, EV sales have increased greatly in the second half of the year, with global sales expected to arrive near the 200.000 units barrier, 40% more than a year ago. EV Heaven Starts with an "N"
"N" for Norway and "N" for Netherlands. Both were already ahead of the curve regarding plug-ins, but this year their respective EV Shares grew significantly, with Norway going from 3,12% in 2012 to 5,43% in November '13 and the Netherlands now at 3,50%, up from 1,10% in '12. Other markets to grow significantly their EV Shares were Iceland (0,21% in '12 Vs 0,88% right now) and Hong Kong (0,42% in '13 Vs 0,21% last year), on the other hand, plug-ins had setbacks in Spain, Ireland and Israel, if the first two can be attributed to problems in their economies, the case of Israel has to do with the Better Place failure, also one of the events of the year. This year has been a Roller Coaster Ride for Mitsubishi, after a great start for the Outlander PHEV in the beginning of the year, leading the Japanese EV market in March, the battery problems that came after put it on a several months production drought that could have hurt their career forever. Fortunately for Mitsubishi, consumers didn't runaway (Also because there aren't other SUV's with a plug) and waited for the production to resume, originating a long reservations list that Mitsu is now delivering and beating sales records. Europeans love Station Wagons just like they love diesel engines, so Volvo put 2+2 together and in the end of 2012 came up with the V60 Plug-In Hybrid. At first it was just another step (Like the C30 Electric was before) in the future electrification of their lineup, but then reservations started to arrive and they didn't stopped pouring in, even when production passed from 1.000 to 5.000 units, then the swedish carmaker realized the hit they had on their hands and started to sell it across Europe with good results. Renault had big hopes for its Zoe, wanting to make it a sort of Euro-Taste-Leaf and hoping it would lead plug-in sales in the Old Continent. Until recently, German manufacturers had a pretty conservative approach towards Electric Cars and Alternative Fuels in general, with the only production EV being the french-german Smart Fortwo ED, and even this had limited availability. This year things changed, first Smart increased production of its electric version and actually started to sell it willingly, then Porsche (Panamera S E-Hybrid), BMW (i3) and VW (e-Up!) 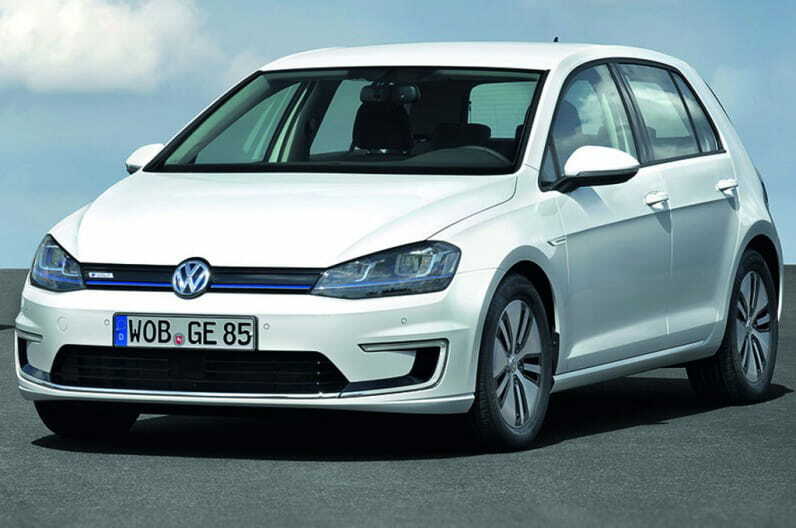 recently introduced their first production models, and with more to come next year (BMW i8, VW e-Golf, Audi A3 e-tron, MB B-Class ED, Porsche 918...), it looks that german carmakers will catch up other EV makers fast. With all the energy and pollution problems that the largest world economy has, one could expect that EV's would be a priority, only high import taxes, little consumer interest and domestic EV offer with limited appeal left the chinese plug-in market pretty much like last year, with sales hovering around 10.000 units/year and the little Chery QQ3 EV as the undisputed leader with half of the market. The new additions (Roewe E50, Springo EV) were flops, selling little more than a hundred units, while the promised gamechanger BYD Qin was successively postponed and went on sale just a few days ago. Could 2014 be any different? Let's hope so. With the McLaren P1 in Geneva and Porsche 918 in Frankfurt ready for production, a new trend started to emerge in SportsCarLand: Electrification. 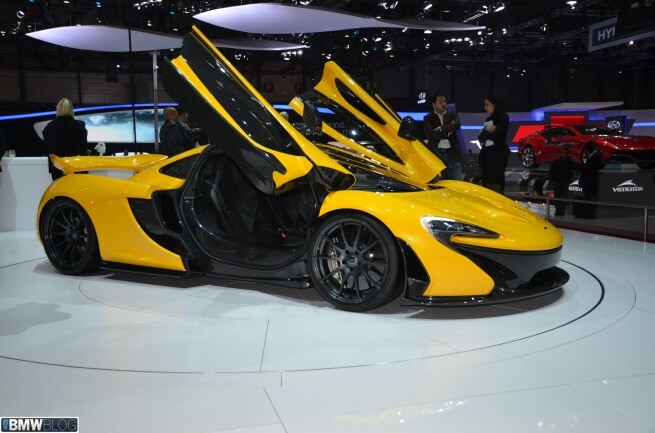 Besides the two above, there's also the hybrid Ferrari LaFerrari (Dumb name, awesome looks) and the soon-to-be-released BMW i8, along with others still-in-concept-car-form projects (Honda NSX, etc). The reason for this? Yes, there is the matter of fuel consumption, but perhaps most importantly, it's a new way to increase power and a technological achievement that puts them ahead of the competition. Mitsubishi had a big reservations list in The Low Countries for the Outlander PHEV and thanks to that, November came to deliver 2.736 PHEV's there, enough to achieve the #1 position in the global dutch ranking, and a new sales record for a single plug-in model, but it was also the third best score EVER for a plug-in, only surpassed by the performances of the Chevy Volt on its home market in August '13 (3.351 sales) and October '12 (2.961). Will the Outlander beat that performance in December? I wouldn't bet against it. 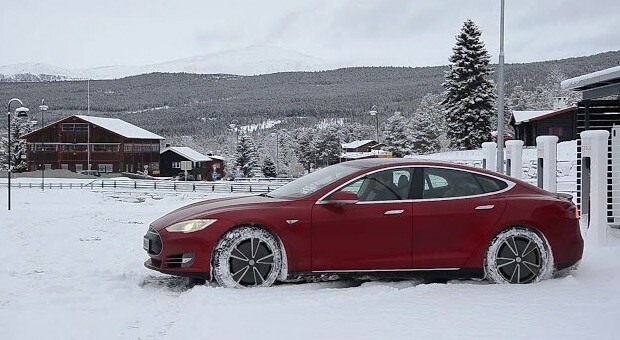 If it wasn't the otherworldly performance of the Outlander PHEV, the main news would of been Norway, where three plug-ins entered the global Top10 (Model S in #2, Leaf #5, VW e-Up! in #9), with EV's achieving 12% share of the general market! But the Outlander PHEV wasn't alone to shine in the Netherlands, the Volvo V60 Plug-In also got a Top10 place (#6) in the general ranking, contributing to an unbelievable 12% EV Share in November and with 5.324 units sold, the dutch plug-in market had the best performance ever for a single market, excluding the USA, of course. Back to Earth, we see in the US market the fight between Leaf and Volt continues, the Outlander PHEV conquering the japanese #1 and in France the Zoe once again failed to be #1, title that went for its brother Kangoo ZE. Looking at EV shares, Norway and Netherlands EV Shares continue to rise significantly, (5,43% and 3,50%, respectively), while others are witnessing more moderate growths, like in Japan (0,81%) or Germany (0,22%). 3 - Will the Outlander PHEV reach #1 YTD in Netherlands? 4 - Will the Zoe reach any #1's? 6 - How many #1's will the V60 Plug-In collect? After 10 straight months with the Nissan Leaf winning the Best Selling Crown and after a tight race (Just 50 units separating both) with Nissan's hatchback, the Outlander PHEV achieved its first monthly #1, the first for Mitsubishi since...2010. New record sales, with 22.717 plug-ins sold in November and with total sales mounting to 176.671, if December continues to register record sales, we can still hope to arrive at the 200.000 units level, a nice number to end the year. In the Third Position race, the Prius Plug-In went back to more usual numbers (1.698 units), allowing for a strong Model S (2.383 sales) to bounce back and earn a more comfortable distance from Toyota's eco-star. Behind these, we see a position change between a weak (Just 637 units) Renault Zoe and the rising star Outlander PHEV, now #5 and presenting credentials to fight for #1 next year. In the Manufacturers ranking, Mitsubishi benefits from the unexpected demand for Outlander's across the World to score a new record (4.788 units) sales in a single month, allowing it to climb at #5, at the expense of Renault, with hopes of reaching #3 next month. Further down the ranking we see Volvo reaching at #8 thanks to yet another record month (1.380 sales), while Smart secures its #10 also with a personal best score (618 units). 1 - Which model will be #3? Prius or Model S? 2 - Who will end the year in #8? 3 - Can Mitsu reach #3? 4 - Can Mitsubishi outperform itself in December? Ending November countries roundup we have the japanese market, with 3.278 units sold, it's profiting from the sales of the Outlander PHEV (1.705 sales) are in full swing, rising 53% regarding last month, and 30% if we consider a year ago. The EV Share is now at 0,82%, the best score since last February. Fourth and third are separated by just two units in the YTD chart and with the #4 I-Miev losing every time for its stablemate Minicab Miev since June, December should crown the little LCV with the #4. Looking at the brands ranking, Mitsubishi (43% share) is again breathing on Nissan's neck (44%), anticipating a thrilling fight in December between these two. Just like engines in Formula One cars, batteries are the most important component for plug-ins and the one thing that usually car manufacturers don't build in-house, preferring to buy them/cooperate from established battery makers. - Other contenders are Lithium Energy Japan (GS Yuasa / Mitsubishi), providing batteries for Mitsubishi, Siemens has a partnership with Volvo and Deutsche ACCUmotive is the provider for the Smart ED, others develop batteries in-house (BYD, Bolloré), while other battery makers are still on their first stages of EV partnership (Toshiba is teaming up with Honda and there's rumors that Samsung will cooperate with Renault). Another sales record, with 9.941 units sold, making this the fourth straight month of growth for the European EV market, with four models selling in the four digit area, three of them recent additions: Besides the eversolid Nissan Leaf (#4 with 1.024 units), the Mitsubishi Outlander PHEV went through the roof (2.736 units) thanks to dutch sales, the Volvo V60 Plug-In (1.330 units), also registered record sales and in third we have the Model S from Tesla with 1.133 units registered, also a new personal best. Besides those three models, there were two new EV's rising in the ranking, with the BMW i3 (408 units sold) now #13 YTD and the VW e-Up! (437 units) joining the ranking at #17. With all this increased competition, the Renault Zoe (632 units) was just fifth, maybe a prediction of what might be a difficult 2014. The Smart Fortwo ED had another record month (435 units) and now that production constraints are over, it looks that the tiny two seater is steadily increasing performance on a monthly basis. As a result of these new additions to the market, there's plenty of changes on the enlarged (Now Top 20) YTD Chart, with the two most significant being the Outlander PHEV coming out of nowhere to #6 and the Model S climbing yet another position to #8. A good month for the Swiss EV market, with 139 units registered, pulling the EV share to 0,40%, just 0,01% less than last year, a number that could be reached if December sales end up strong. 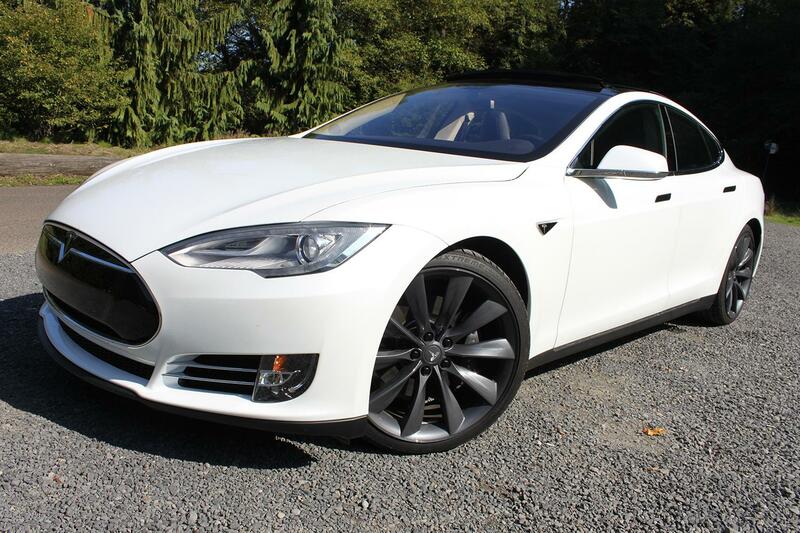 ...Which was the Tesla Model S, continuing to impress (37 units) and enabling to climb one position to #3, with hopes that it can still catch Twizy's #2 in December. At the bottom of the YTD chart, we assist at the surefooted landing of the BMW i3 (21 units, #3 in November), and to a surprising monthly #4 of the Chevy Volt, registering 11 cars and reducing the gap between it and its disappointing brother Opel Ampera. Looking at the manufacturers ranking, this is still Renault's turf (#1 with 43% share), but GM has been wiped out of the map (In 2012 it had 26% share, now it only has 11%), and in consequence, we have new competitors on the podium, with Tesla now #2 (15%) and Nissan #3 (14% this year, just 5% the year before). With 721 plug-ins sold in November, the german market still hasn't embraced EV's the way one would expect, now that the german manufacturers are joining the plug-in bandwagon. True, this was the second best month ever and the EV share rose to 0,22%, but the growth rate is disappointing. The BMW i3 (121 units sold) is still stuck on the one hundreds, just like the the Zoe, while the Nissan Leaf and Tesla Model S fail to impress. The only to register decent sales is the Good Old Smart, with 298 units, making it also the best seller of the month. In the brands ranking things are pretty tight between Renault (30% share) and Smart (31% share), with Smart taking the lead for the moment. Great plug-in month in Austria, with 127 units registered, best sales month of the year, pulling the EV share to 0,25%, if December proves to be even better than this month, it can still reach the 0,30% hallmark of last year. But the real news are the three positions behind the french hatch: In #2 we have the Tesla Model S with 23 units sold, a bit later than other countries, but it seems that Austria was also hit by Tesla Fever, next is the Smart Fortwo ED, now with the production constraints behind, the tiny Smart is climbing positions (It's now #4 YTD and with a shot to reach #3 in December), and in fourth we have the BMW i3, another country where the Bimmer started with the right foot wheel. We also assist at some surprising facts, like the zero units of the Opel Ampera (I had to double check this one, i just couldn't believe it), it seems that the price reduction still hasn't done anything to it, and the first two registrations of the Mia Electric in Austria. Another surprising thing, that only shows how dynamic EV markets are, is that the Citröen C-Zero, #2 in '12, is now...#11, just like last years #3 (Fluence ZE), is in a much more discrete #10.